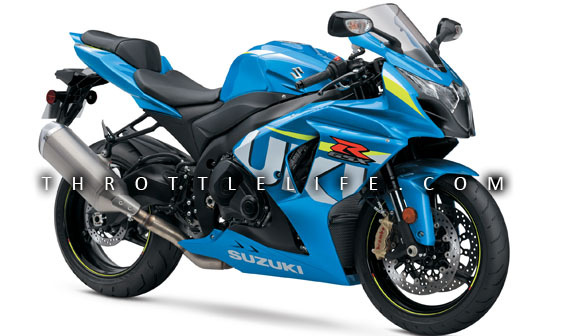 2015 Suzuki line-up | Throttle Life! 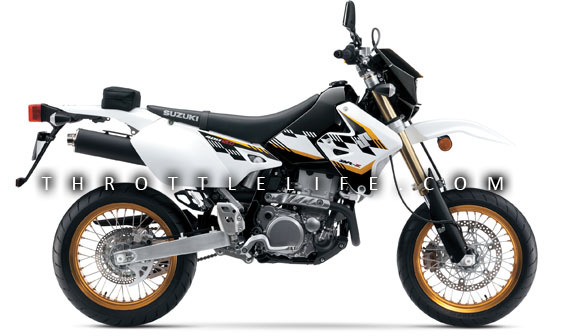 While some manufacturers are releasing indivitual featured models, Suzuki is taking a different route with unveiling their 2015 line up consisting of sportbikes, ATVs, cruisers, a new adventure class model and show casing their new naked street fighter’esque 2016 GXS-1000. 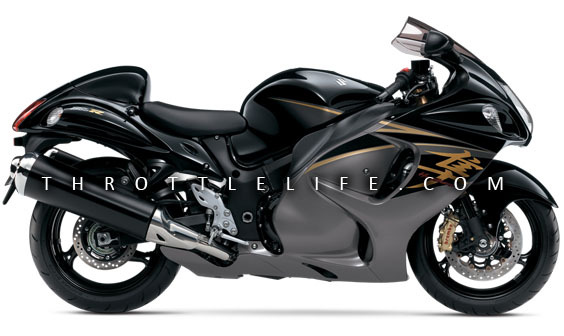 For 2015 the legendary track and street friendly 1340cc Suzuki Hayabusa remains virtually unchanged, however now offered in Glass Sparkle Black and Metallic Thunder Gray or Perl Vigor Blue with Metallic Mystic Silver livery. The 2015 GXS-R1000 offers three engine modes (A, B, and C) allowing Riders to select their desired throttle response. New for 2015 is the race inspired Metallic Triton Blue color scheme. Rounding out the Supersport class is the GSX- R750 and GSX-R600 with the 600 coming in this year with an unheard of price reduction of $500. 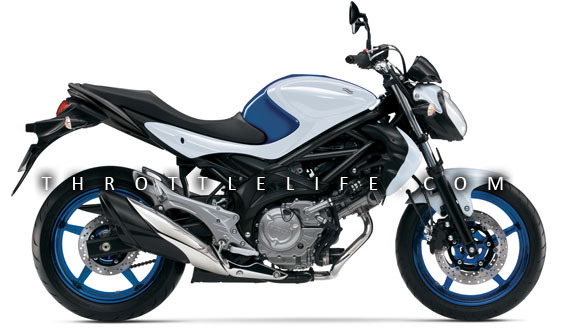 No doubt, the racy Metallic Triton Blue GXSR-600 will be a hot seller. The brawny Suzuki Boulevard series continues to stomp with its 109 cubic inch muscle M109. The 8-valve, 54-degree V-twin uses liquid cooling and Suzuki fuel injection, and tuned to produce massive torque from idle to redline. 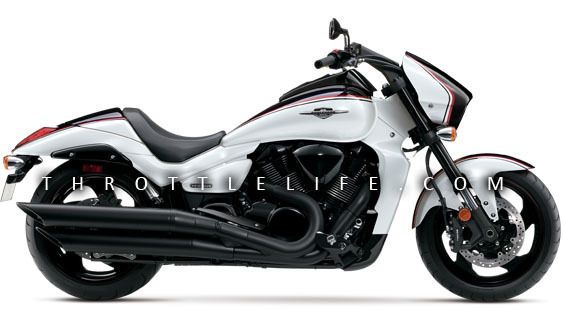 Sitting on a 240mm rear fatty, the M109R B.O.S.S is the epitome of a V-Twin muscle machine. 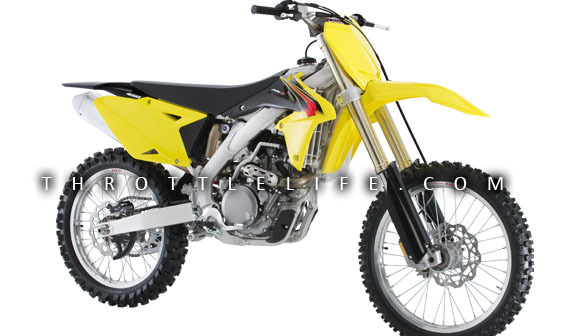 If playing in the dirt is your thing, the 2015 Suzuki Z450. The Suzuki Holeshot Assist Control (S-HAC) is a selectable launch mode system derived straight from the factory race bike to help riders launch from the starting gate no matter the gate conditions. Riders choose among three modes with a simple push button on the left handlebar, selecting the best option for their skill level and riding conditions. A redesigned frame increases rigidity and reduces weight by four percent from the previous model. New Showa SFF-Air front forks deliver are lighter, better performing and easier to dial in when adjustments are wanted. 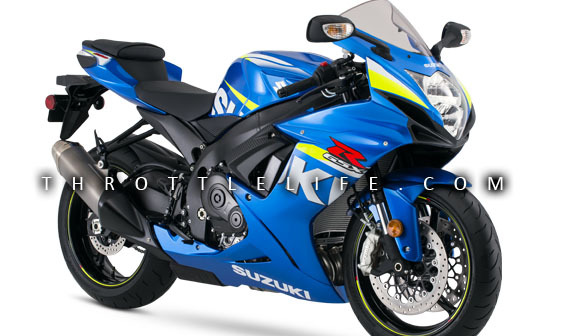 Suzuki’s fuel-injection system is made even better with the additional fuel couplers that give riders fuel-delivery customization with no tools needed. Looking for a little street and trail action? The DR-Z400SM is fully street legal while offering serious off-road capabilities powered by a 398cc liquid-cooled four stroke engine and 17” aluminum rims wrapped around dirt biting radial tires. 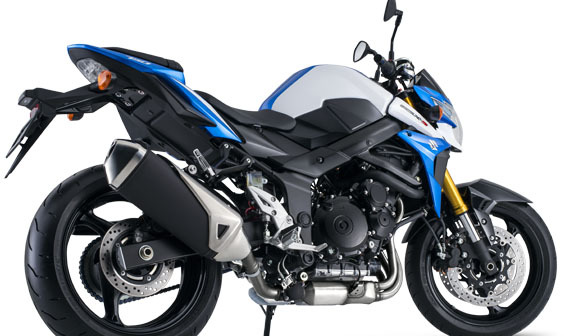 In Suzuki’s new Adventure class is the new 2015 V-Storm 650XT. Powered by a 645cc V-twin, the V-Strom 650 ABS is an environmentally friendly vehicle that has excellent fuel economy for daily commuting and weekend touring.